With the holiday season in full swing, your going to need a pre-holiday beauty routine, unless you are one of those perfectly groomed golden goddesses that don't need anything other than a spray of parfum and ready to board the plane and land right on the sandy beach with its beautiful crystal clear blue ocean views! If this is not you, then you are in the right place as this is for you! 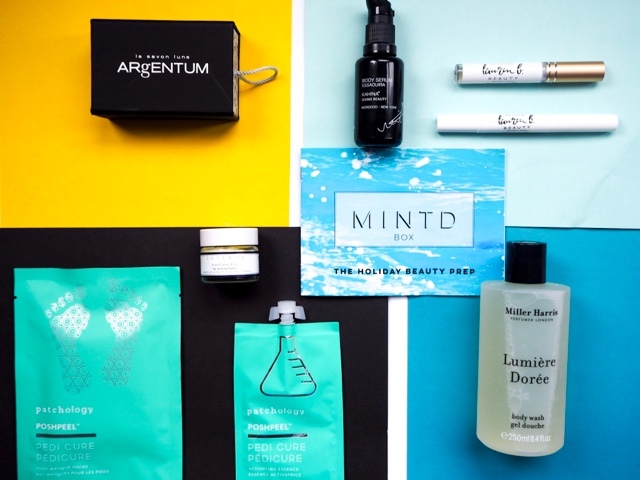 Our summer skin requires extra attention and love and this month MINTD Holiday Beauty Prep box has certainly for you covered from your head to your toe, which you can start with a few weeks before, even to calm and relax those pre-flight nerves. 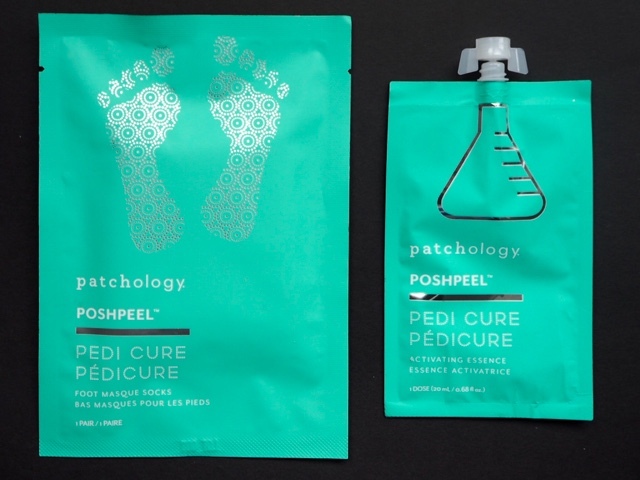 We spend all our time on our feet, it is the most abused part of our body and one that we should take most care of, I mean no one wants to get their tootsies out all battered and unkempt, so with Pathology's 'Posh Peel Pedicure' 60 minute treatment, it restores your feet to all it's glory and it certainly does the trick, not just by removing all the dead callused skin, but by leaving it feeling baby soft and your feet looking and feeling hydrated. To get the most out of this, especially for first-time use I certainly recommend pre-soaking feet of 10-15 minutes before first-time use. 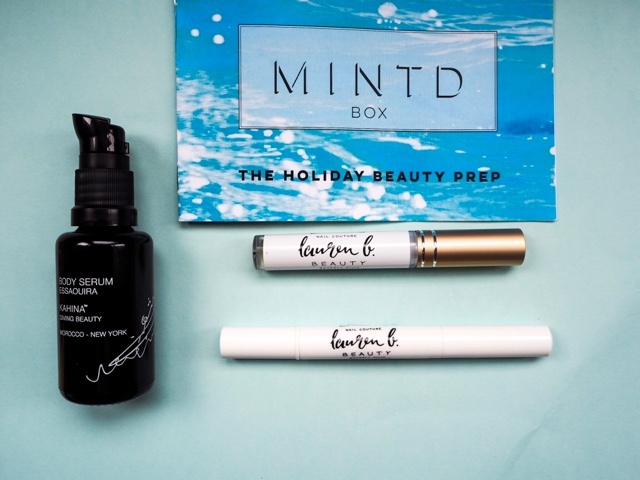 2 treatments come in the MINTD Holiday Prep Box, which is full and sized priced at £32.00. 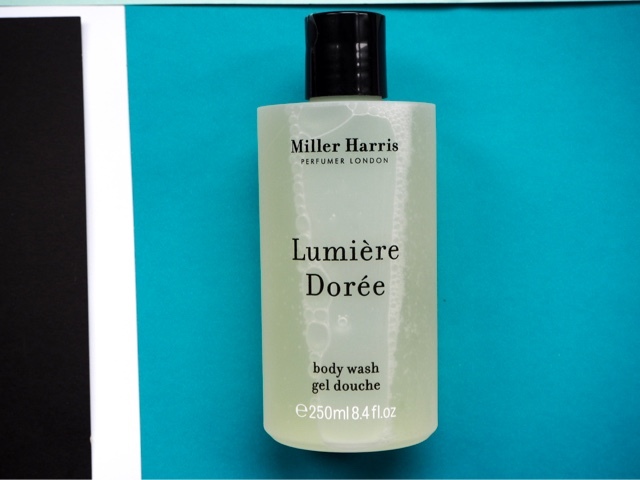 What better way to kick-start the day with a refreshing invigorating shower, with Miller Harris, Lumiere Doree Body Wash. Its scent, one bursting with fresh citrus, floral notes encompassed with intoxicating ingredients of neroli and jasmine, will certainly leave you feeling as if you are on cloud nine and already landed at your holiday destination. Any left over with this full size costing £24.00, I certainly decanter into a trade; size container to take with you. You know I am a major fan of oils, especially face oils! 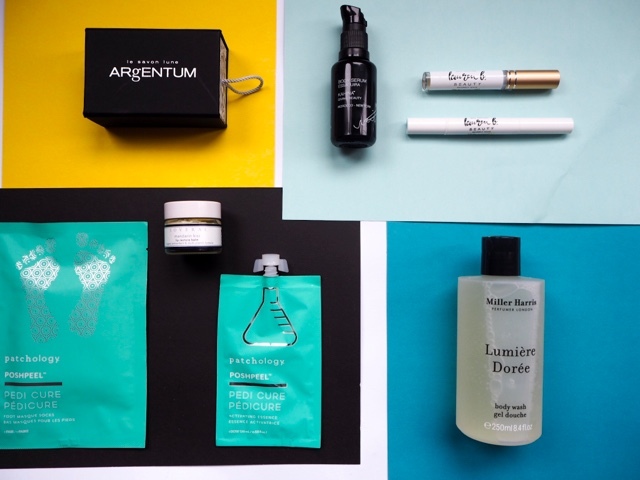 So imagine my delight to find Kahina Giving Beauty Body Serum Essaquira, (super deluxe size £32.00 - Full Size £85.00) in this month's box. So after my refreshing shower with Miller Harris, I pumped out a few drops and warmed in my hands, a quick smell and I only feel on the bloody floor to my knees. MINTD have answered my prayers those bloody angelic angels at the office certainly know how to keep us happy! My favourite or favourite scents of all time geranium takes over this rich nourishing and hydrating body oil! Now can you see why I suggest only using it twice a week! It packs an intoxicating punch and I would happily dowse myself in the whole bottle, but I've a review for you to do and I am also helping you prep for your holiday! I wouldn't be doing my job if I wasn't doing it properly, after all, it's not all about me, maybe that's how I mastered the art of patience! But not a fan of germanium (who are you) do not fret, this crisp fragrant body oil, combines the perfect sophistication of floral notes, with a hint of exotic from, rose, lavender and sandalwood, a perfect blend for spring and summer. Before I say anything and go any further, I have to let you know the price of this product.....A whopping £75.00, phew it is out there, off my chest and in the open! Now, this is why I freaking love MINTD, because while this product is expensive you may think the others too, you are actually saving massively, £118.00 massively, but we will come to that later! I am a tad bad a looking after my nails, I am forever washing and at times forget my gloves, which leaves my nails and cuticles, fragile, parched and straggly and in dire need of some TLC. With Lauren B. Beauty, Botanical Nail Treatment Twin Pack, the Nail & Cuticle Balm, restores my nails and cuticles to it's prime and the amino acid and biotin promotes healing around and on the nail itself. The Nail Serum promotes growth in those pesky brittle nails, thanks to the perfect blend of amino acids, antioxidants, vitamin E and C, peptides and the biotin sinks in instantly boosting the nails natural growth and strength. 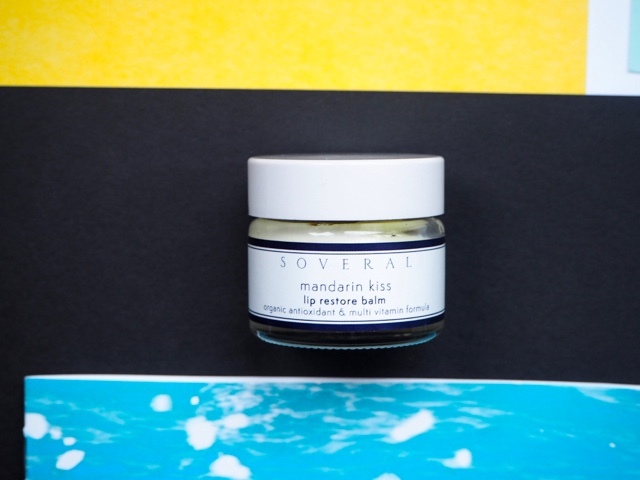 Soveral, Mandarin Kiss Lip Restore Lip Balm, protects and heals those winter chapped lips, just in time for some summer holiday fun, leaving you with the perfect pout. Soveral, lip balm is great even after your flight, as flying at high altitude can leave you feeling a bit dehydrated. So restore some hydration with this lip balm with it's nourishing mango and cocoa butter blend. You can snap this up from net-a-porter for £17.00. 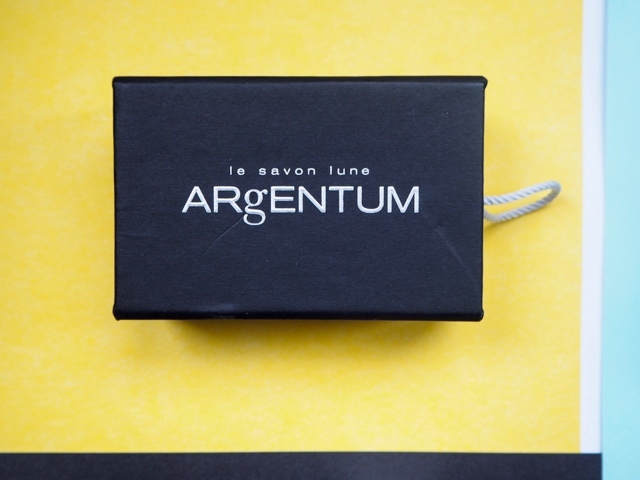 As a bonus treat, MINTD has added for those taking out a subscription of either 3 or 6 months Argentum's, Illuminating Hydration Bar. This facial cleanser, may look like a bar of soap but guys this luxurious cleanser will give you a natural glow and leaving you not needing any foundation, this is a true bare-faced beauty and a fabulous free gift for those signing up for a longer subscription and saving you, even more, dollar to spend on your holidays £104.00 dollar to be precise. 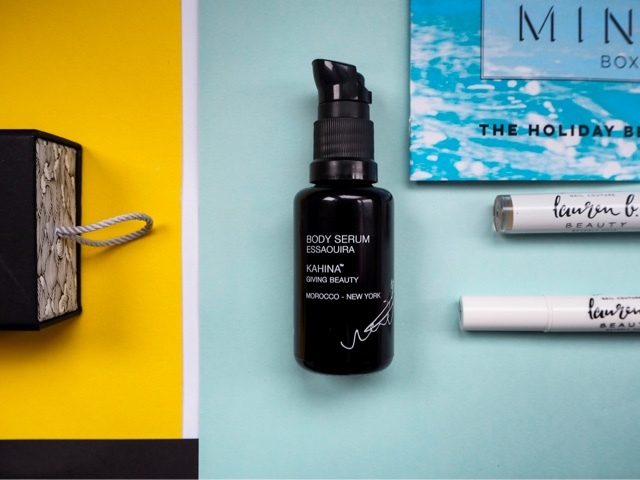 Be it going on a summer holiday, near or far MINTD Holiday Beauty Prep is certainly the package that you need to see you through and leaving you looking like you've never left that holiday sun. Another great priced box, costing £65.00 you certainly won't be braking the bank, leaving you with an extra £118.00 to spend on your hair, nails and tan. Do you have a pre-holiday beauty checklist? I would love to hear your thoughts, so leave your comments below!